It’s another explosive tailoring and design concept by the Banned Apparel in the Heart To Heart Midi skirt meant to blow your mind and get you looking all radiant, smashing and feeling good all the way. Banned Apparel’s Heart to Heart Midi skirt available at the Egg n Chips, London presents you with a breath-taking skirt for the corporate climber, businesswomen, trendy, fashionable, classy, you just name it! It comes in a knee-length all-black and white striped skirt, a concept that usually evokes so much admiration and respect from onlookers. Banned Apparel’s choice of the black and white concept is to help you not only look your best, boost your confidence but make you the centre of attraction so everyone can listen to you. The waistline or band comes all black but to fit perfectly, the base comes as a fled design to give it flowing appeal and add spring to your movement while the entire length of the exquisite Midi skirt comes fitted to body size, a true reflection of your size. With such body fit the Heart to Heart Midi skirt helps place emphasis on where it matters most, your hips and curvy nature. The Midi skirt can combine perfectly with a plain or pattern top of the elegant design to give your business meeting, presentations, corporate events or that evening outing with a special someone the needed top of class and spontaneity it deserves. With a zip-line by the side and sizes ranging from extra-small to extra-large, the skirt fits perfectly to your taste and size indications. Because Banned Apparel believes you deserve the best, the Heart to Heart skirt comes from such high-quality 97% cotton and 3% elastane woven fabric you have no need worrying about durability and lifespan, so wash away! 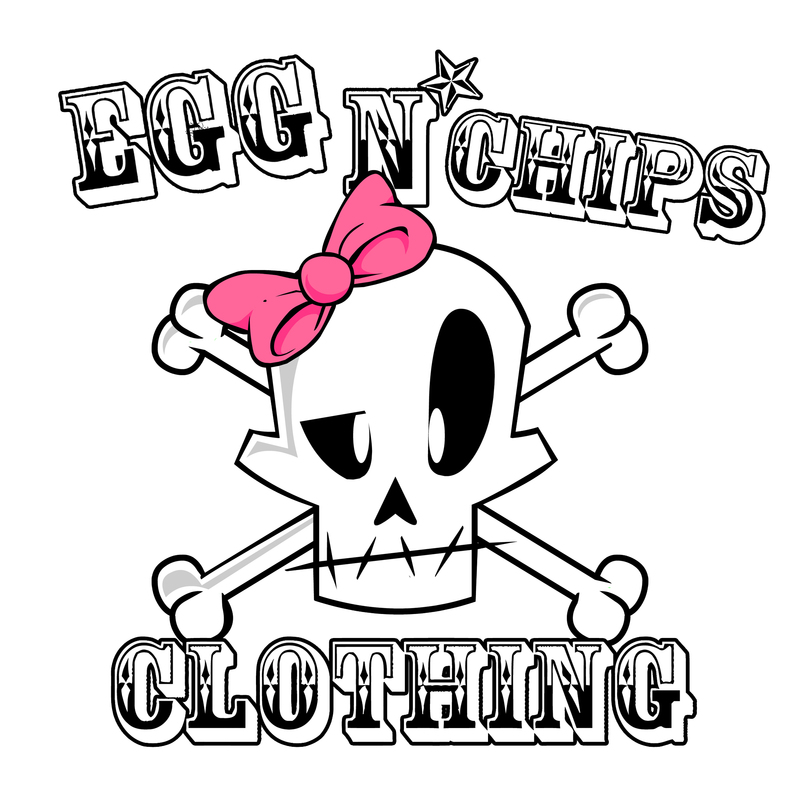 Let’s get you started as you place your order now at UK’s leading alternative clothing store, the Egg n Chips, London and enjoy prompt delivery as well as a 14-day money back guarantee. But always remember, all orders are in line with Egg n Chips, London return policy.